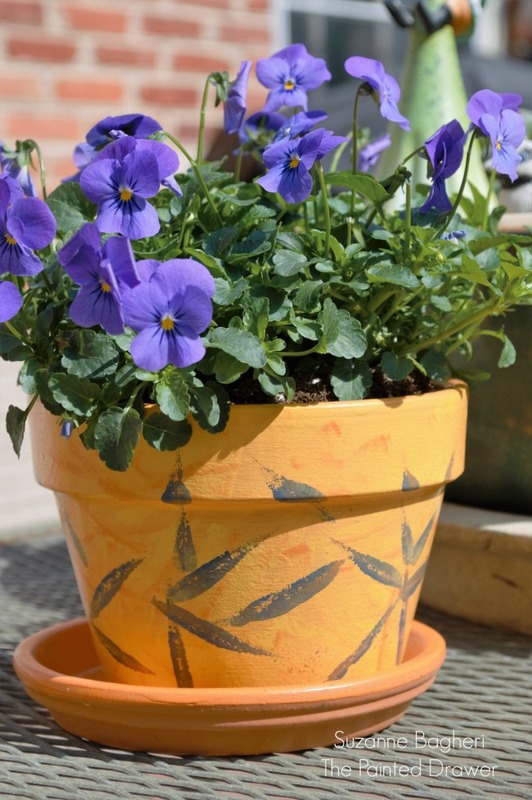 This post is in partnership with DecoArt but all opinions are my own. 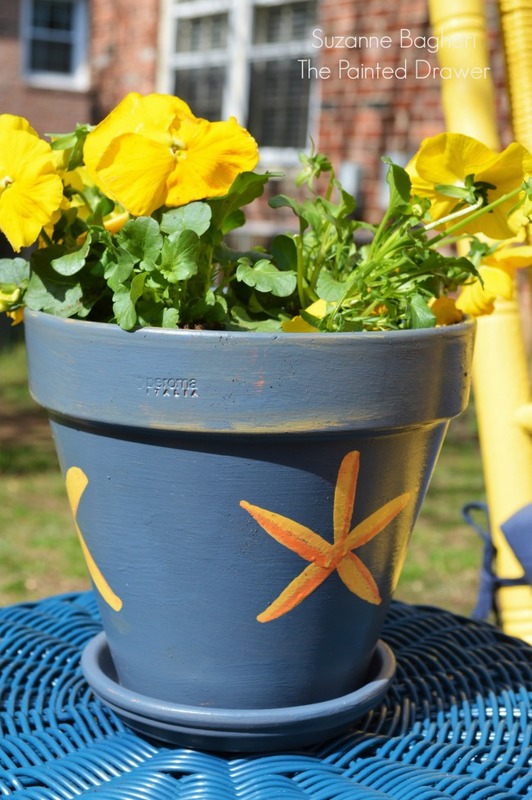 I have a strange addiction to share – I’m addicted to painting flower pots each spring 😉 This year, I used Americana Decor Curb Appeal paint and had a lot of fun with a sponge brush. 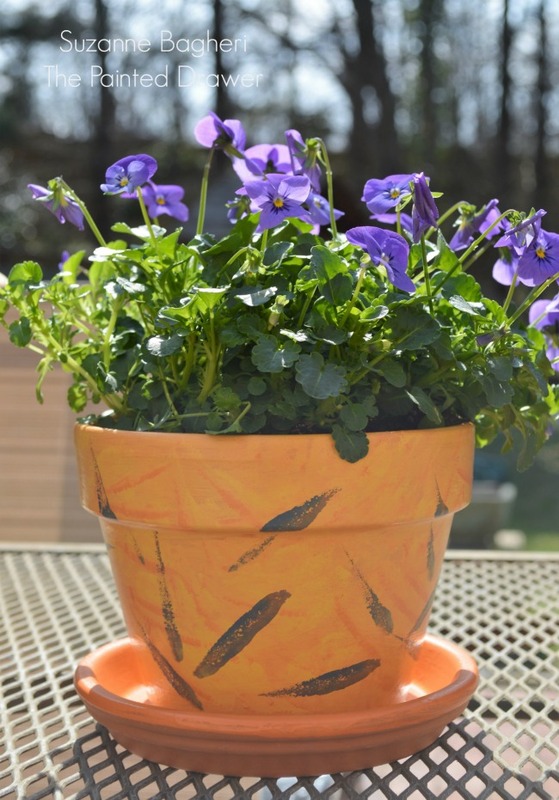 I started with giving the pots a base coat. 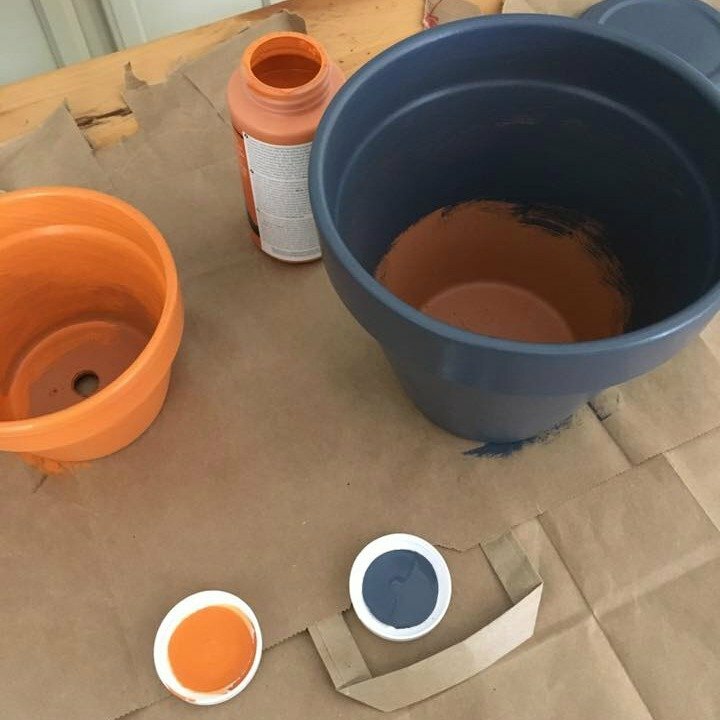 I then took the paint and added one part yellow and one part orange onto my paint pallet. 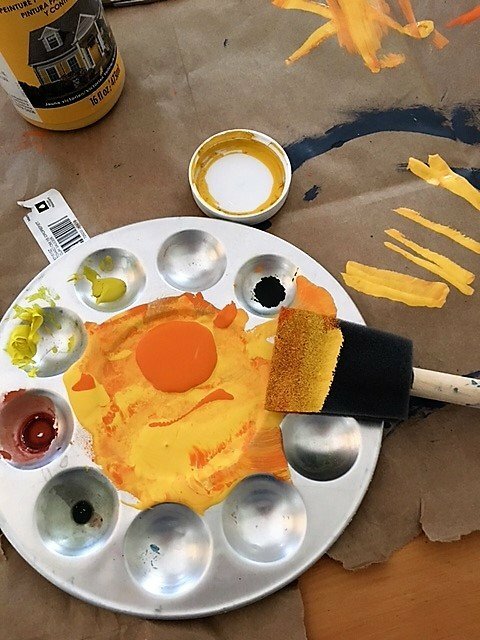 I took my sponge brush and dipped it in so part of the brush was on the orange and part on the yellow. 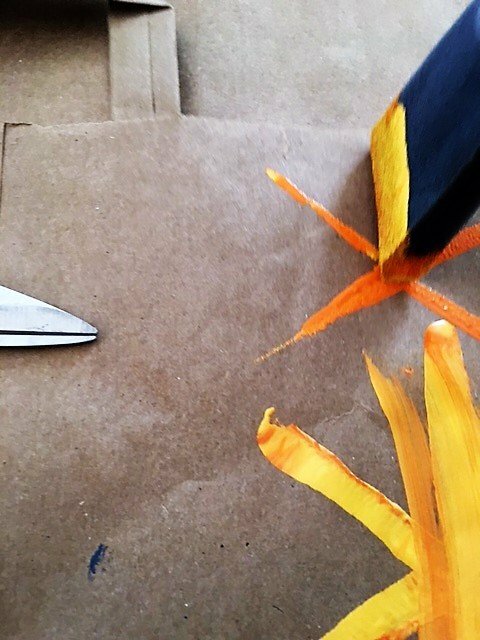 I dabbed off the excess on a bit of cardboard. I then dabbed it onto the pot. 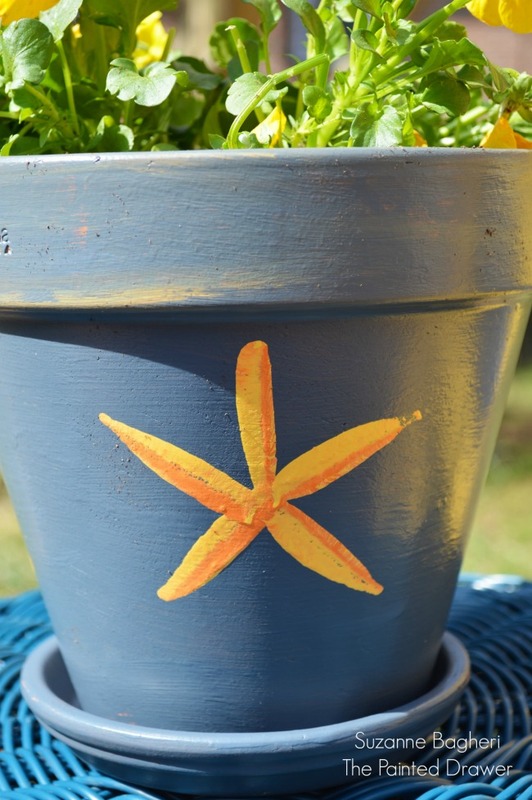 For the first pot, I made a starfish design. For the smaller pot, I dabbed it randomly around to make a fun design. 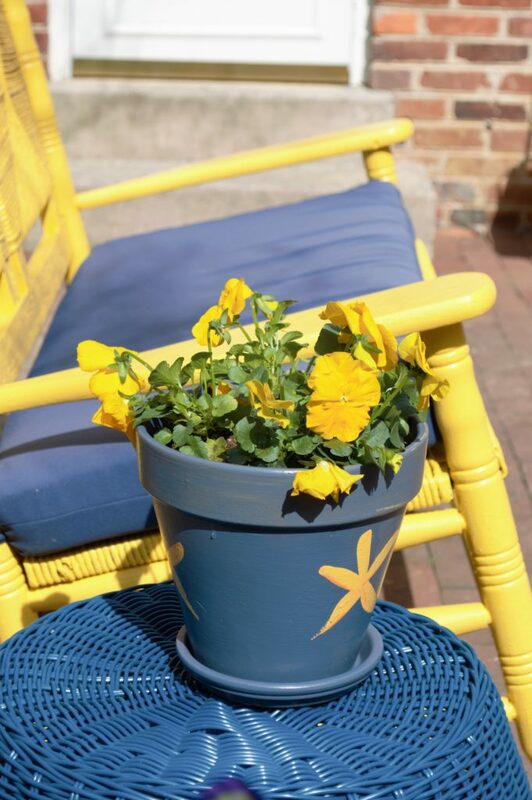 They add a great pop of color outside, especially next to my “new” yellow rocker (Vintage Rocker Drab to Pop of Fab)!